The increased awareness regarding tooth enamel in the past few decades is all thanks to dentists. People now understand the significance of tooth enamel and its role in maintaining oral health. Tooth enamel forms a protective shell around teeth and gum to help it sustain a number of risks, infections and damages. It is a substance found on the top of the tooth and is extraordinarily hard. The protective layer creates a shield on the vulnerable area of the tooth to sustain tooth decay and cavities. Moreover, enamel layer is translucent and allows light to pass through it. It covers dentin, an inner layer of the tooth responsible for tooth color and sensitivities. As one of the vital parts of tooth structure, enamel performs many functions for oral health. Tooth enamel’s strength keeps it protected from fracturing, cracking and breaking. Every time someone brushes, bites, chews or eats something, their teeth are at greater risk of damage. Tooth enamel also protects teeth from breaking apart. Enamel is made of hydroxyapatite crystals, also called fluorapatite. The high concentration of these fluoride crystals enables enamel to sustain damages, acid attacks, plaque and bacteria. The potent crystals prevent tooth decays and cavities over time. Enamel smoothness also plays a crucial role in keeping unwanted food fragments from sticking to the teeth and adds self-cleansing properties. Tooth enamel that loses its smoothness due demineralization or breakage is comparatively less resistant to bacteria and plaque. Insulation of incisors from painful sensitivities due to temperature change is another significant function of enamel. Its opalescence is what gives your teeth its unique character and glossiness. What happens if the enamel is damaged? It would not be wrong to consider enamel as a helmet that protects what is underneath. If tooth enamel is cracked or damaged, the teeth will be more susceptible to bacteria, terrible infection, breakage and other damage. Despite its hardness, enamel is prone to cracking and chipping. It does not have any living cells, so once enamel sustains damage, the body cannot repair its cracks naturally. How can you protect enamel? It is essential to protect tooth enamel. Patients can do it by simply avoiding sugary and starchy food and beverages. It can also be protected by incorporating good oral hygiene practices like regular flossing and brushing or professional cleaning. Overall, protection of tooth enamel is the first step to averting conditions like periodontal disease, gum disease and other severe infections. 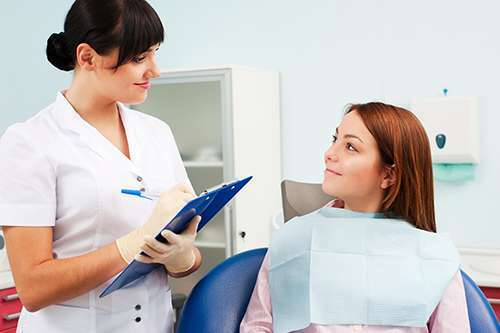 The importance of tooth enamel in terms of keeping your teeth strong and healthy is clear, so visit your dental professional to learn about the best ways to protect it. Request an appointment in our Portland dentist office here: https://www.cosmeticdentistoffice.com. Do I Need A Referral To See An Endodontist Near Portland?